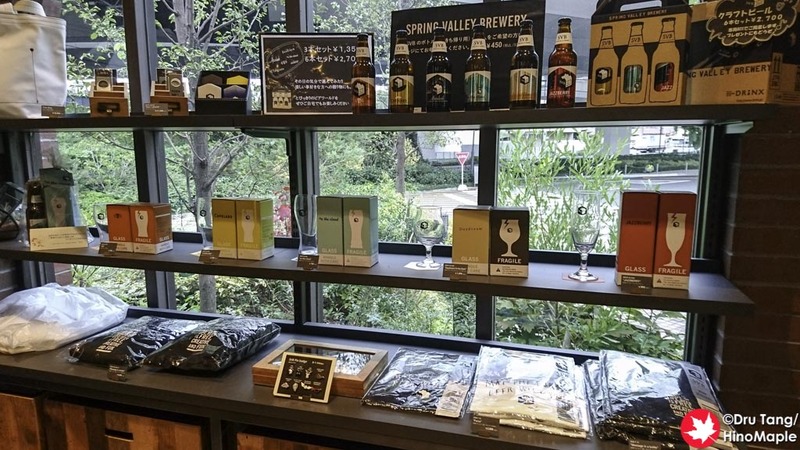 Spring Valley Brewery is a very clever marketing ploy by Kirin Breweries that actually works! I had been very skeptical that SVB was capable of creating good beers as it is wholly owned by Kirin. The Spring Valley Brewery have been around since 2015 and while they are a “crafty brewery” and not a true independent craft, let alone a non-independent craft, hats off to them for creating a very good product. My first thought of SVB was that they would be nothing more than Blue Moon by MillerCoors. This is an example of why big beer companies shouldn’t get into the craft beer game, but SVB is a good example of why they should. Kirin has been doing a good job of acquiring different craft breweries and allowing them to retain their people and skills while helping them expand into new markets. 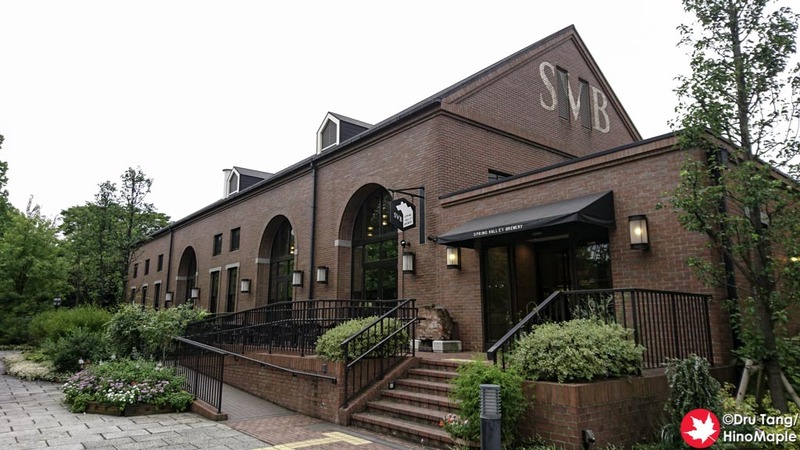 SVB was created in competition to craft beer and while I don’t believe it can match the personality of a craft brewery, they did well to mimic it and I was happy with the experience. 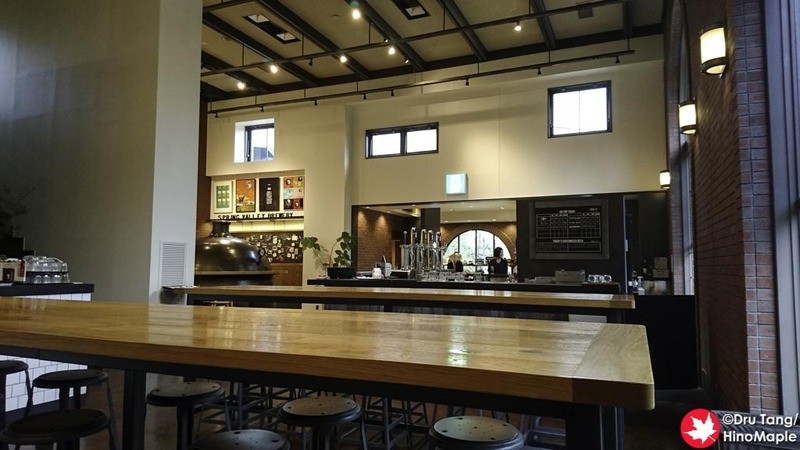 The Spring Valley Brewery in Yokohama is located in an adjacent building to the Kirin Breweries main factory. 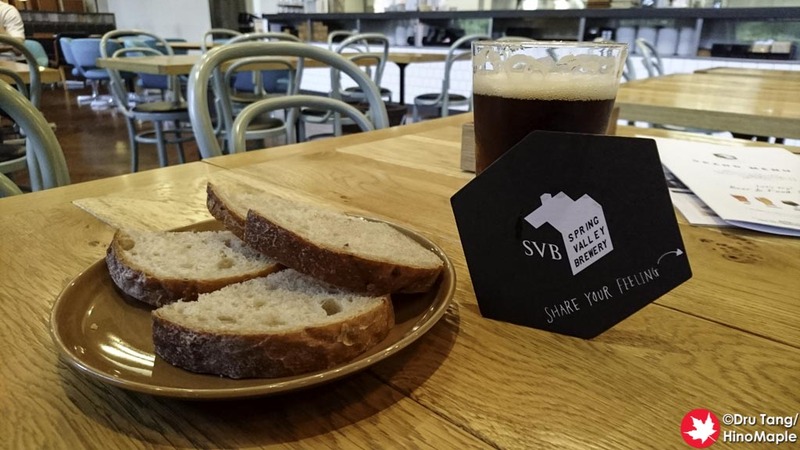 You can actually go for a factory tour and then over to SVB for good beers. When Kirin makes their Galaxy Hop or other crafty beers under their label, I’m often not so happy with it, but SVB did a good job overall. I’m not sure how the recipes were originally created but the marketing materials say that they continue to evolve the beers based on their customers’ reactions and reviews. It is a very interesting way to improve the beers and I would assume this is happening. Unfortunately I have no basis to say that the beers are better or worse than before as I have only tried their beers once. The interior was very spacious, like an old factory. They had a lot of cool swag but I wasn’t very interested in getting it. The library that they have was awesome. 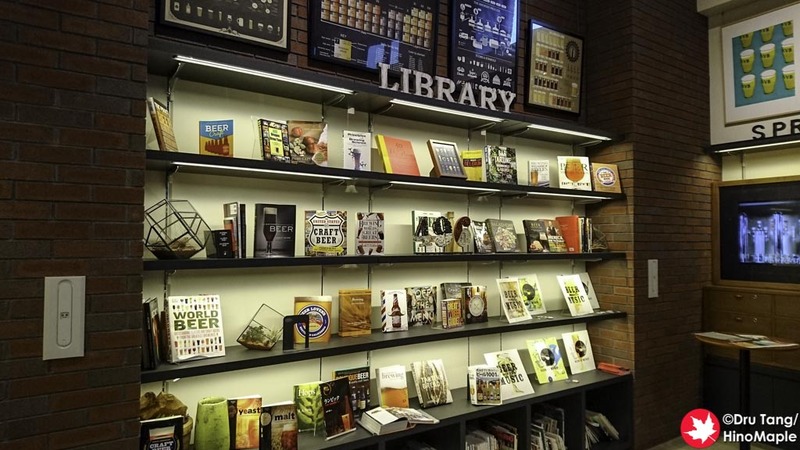 If you ever want to learn about making beer, they had every book you need. Unfortunately I don’t know if you can take them to your table to read, but they have a lot of good ones. Next to the library they also had a small wall of history showing how Spring Valley Brewery turned into Kirin. The beers and food at SVB was really good. I had the beer yeast bread as well as an English bitter called the USB #3. I assume it was their third try at the recipe and they would keep going till they got it perfect. Then again it could just be marketing and they like the number 3. While I was still reminiscing about the English Bitter I got from TDM 1874, the SVB was good too. If you are a true beer snob, SVB will not be the best you have ever tried but compared to macro brews it was great. I would happily buy SVB beers and enjoy them as it seems like they have a lot of interesting ideas. They even have infusers but I’m not sure when they use them as they were empty when I visited. Perhaps it is only used at night or on weekends only. Spring Valley Brewery is a great place if you are looking to expand your beer education. Japanese macro breweries do a great job to help you learn the basics as well as to advance your knowledge. I love how they are always showing you the perfect way to drink your beer, from pouring to food pairing. SVB’s menu always had food pairing charts so you know which foods go best with which beers. Even I could learn a lot from SVB and I hope to go back again in the future. With this in mind I think I’ll have to try visiting their Daikanyama brewery first. 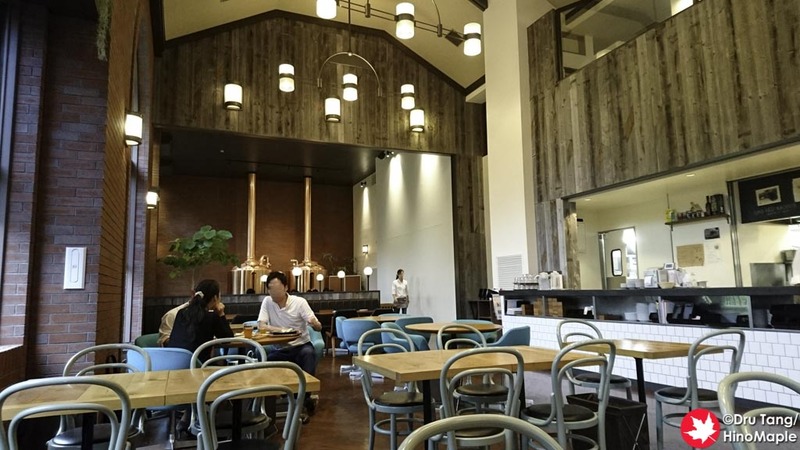 This entry was posted in Kanto Food and tagged beer, craft beer, Crafty Beer, japan, Kirin, Namamugi, Spring Valley Brewery, Yokohama by Dru. Bookmark the permalink.